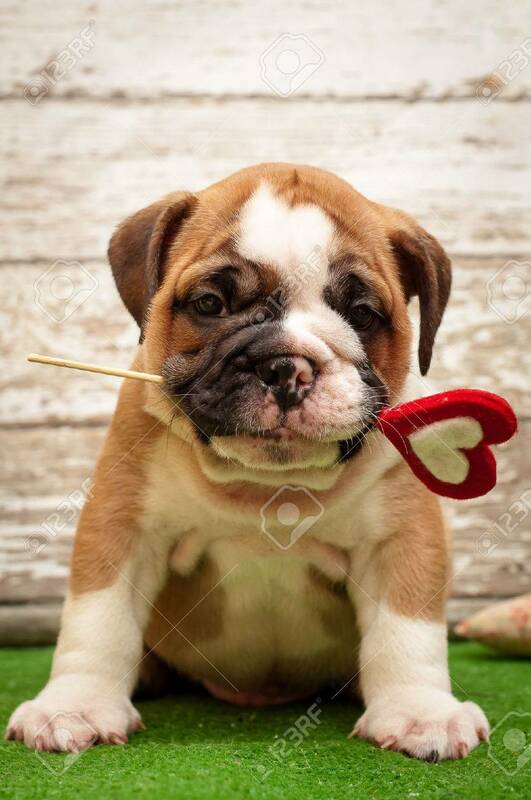 English Bulldog Puppy With A Heart In His Mouth. Subject Valentine's Day Banco De Imagens Royalty Free, Ilustrações, Imagens E Banco De Imagens.. Image 64386202.